Are you thinking about buying a new car? Whether it’s your first time purchase or not, the decision to invest in a new car is never an easy one to make. A car is, potentially, one of the most expensive things you’ll purchase in your lifetime. It’s not really just a one-off spend either – you have to consider the ongoing costs of servicing, fuel, tax, insurance, and more. This is why the decision is such a big one, not only in regards to the type of car you’re going to purchase, but also how you are going to finance it. For many of us, the price of purchasing a car outright stretches the purse strings just a little too much. This, subsequently, has led to an increase in the availability of different car financing options, designed to help you afford the car you desire if you don’t have all the cash for the asking price. Typically major banks, building societies or car credit providersoffer these bad credit car finance plans. You often see car manufacturers providing their own financing options too, many with added incentives that benefit each individual customer. It’s difficult to sit down these days for an evening in front of the television without being bombarded by an inordinate amount of car promotions during the ad-breaks. Most of these run – on the surface – excellent deals that could see you quite easily picking up the phone or switching on the laptop. But when you enquire further you notice the small print; the cleverly concealed terms and conditions; the requirement for a flawless credit history. However, if one stops to consider the current turbulent economic climate, a perfect credit score is often an unrealistic expectation for many people. So what if you are worried about problems with your credit history? Well first and foremost: don’t panic. 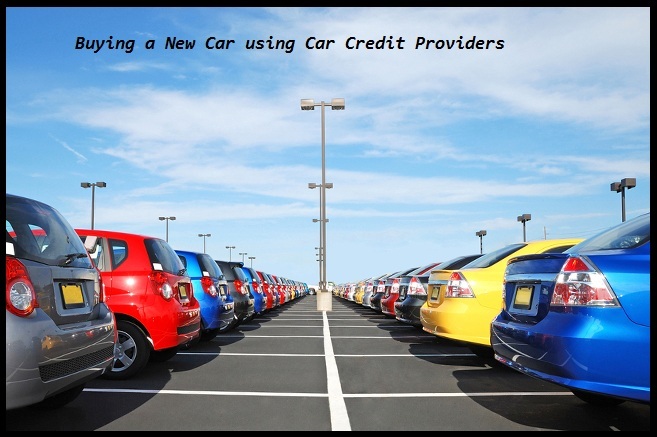 There are several car credit providers in existence that specialise in offering credit to individuals with a bad credit rating or poor credit history. These firms deal with an extensive range of lenders to make sure you get the best finance plan possible, sidestepping the hassle of having to approach any market lenders yourself (and it helps avoid potential loan sharks). If these companies are unable to secure a finance plan from a reputable lender, then often they have their own internal finance solution, so, one way or another, you’re guaranteed to be accepted. Even if you are fortunate enough to have a sparkling clean credit history, choosing the package that suits you can be a confusing and daunting process. Approaching lender after lender not only takes valuable time from your day, but it can also be an incredibly stressful process. Again, car credit providers usually have excellent relationships with all the major car finance lender, enabling them to better secure a perfect arrangement for you. Now you know that you’ll be able to afford a new car, you can push on to purchase the car of your dreams. Drive safe!